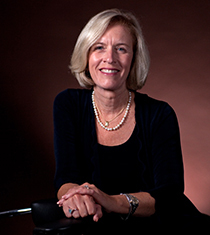 Deborah Lowe Vandell has been a leading researcher on expanded learning programs since 1985. Dr. Vandell agreed to respond to our interview questions regarding her research on the field of afterschool. Below are some of her responses. Dr. Vandell appeared in our video on the Learning in Afterschool & Summer learning principles and our documentary on the History of Afterschool in America. She will also be sharing her thoughts in a plenary presentation, and a workshop alongside fellow researcher, Milbrey McLaughlin at the upcoming How Kids Learn VIII conference on December 6th, 2018 in Oakland, CA. many years. Can you cite/list what you think are the most important lessons? A: For me, the most important lesson is that the quality of children’s daily experiences at programs is critically important. Research, my own and the research of others, has demonstrated repeatedly the central role of caring, supportive relationships with adult staff for children’s well-being as well as their academic and social competencies over time. Lesson 1 is that the quality of staff-child relationships is front and center. Research also has shown that these supportive staff-child relationships typically occur in the context of activities that are engaging to young people and that build on the interests of the young people, a second important lesson. A third lesson, I think, is that we need to be doing more to support adult staff in their work. Staff training is critical as is planning time. Developing and retaining staff who have caring, supportive, and respectful relationships with young people is central as is staff who can provide rich opportunities for learning and engagement. Staff turnover is a big problem. Q: Civic engagement and youth activism is an increasing part of afterschool youth programs. Can you comment on this trend as a part of positive youth development? A: I just returned from a meeting that convened 250 researchers and practitioners who focused on this very issue. A recurrent theme across many presentations (by both researchers and practitioners) was the ways in which afterschool programs can foster civic engagement and youth activism. The connections between positive youth development, social-emotional learning (SEL), and character development were another recurrent theme. It is exciting for me to see connections being made across areas that are too often in separate silos. Q: Over the years, there has been much discussion on the indicators we should use to assess the effectiveness of afterschool programs. What are your thoughts on this? The quality of children’s daily experiences at the program? It’s only when we clarify the particular aspects of effectiveness that we are interested in can we start to identify indicators that can be used to assess effectiveness. Q: Can you share what you are or will be studying in regards to afterschool? I have been studying effects of afterschool programs and organized activities (their quality, duration, type) on adolescent outcomes at age 15 and the end of high school. My colleagues and I have now extended that work to ask if after school activities are linked to adult outcomes at age 26, including educational attainment, employment, civic engagement, physical and mental health, as well as positive social relationships. Results at age 15 and end-of-high-school are pointing to links between sustained participation and positive academic and social outcomes. Analyses of the age 26 data on 815 participants are underway. My second project is a series of research syntheses. This project is a collaboration with Professor Sandra Simpkins at UC Irvine and a wonderful team of graduate students. One of the papers that we are working on examines conceptualizations of program quality and links between different aspects of program quality and youth outcomes. A second paper focuses on the challenges and opportunities of programs that serve Latino and African-American children and youth. In preparing the data base for these syntheses, we scanned more than 2000 papers and are focusing our analyses on 200 papers published since 2007. The third project, is also in collaboration with Professor Simpkins. In this study, we are conducting secondary data analyses of two large data sets, the National Institute of Child Health and Youth Development (NICHD), Study of Early Child Care and Youth Development (SECCYD), and the Study of Promising Afterschool Programs with a focus on character development during childhood and adolescence. In this work, we are examining individual aspects of character such as persistence and work habits as well as inter-personal aspects of character such as prosocial behaviors and helping others. Q: Any thoughts on what the future of afterschool will hold, either in regards to policy or practice? A: I am of two minds about the future of afterschool. The good news is that there is now widespread recognition of the role that afterschool programs (and out-of-school time more broadly) play in children’s development and well-being. Many parents, educators, researchers, and policy makers now endorse investments in afterschool as necessary and important. This is very different than when I did my first study of afterschool programs in 1985! The bad news is that there are still serious inequities in children’s access to high quality afterschool activities. Children from low-income families have less access than their more affluent classmates, and this lack of access is undermining their life opportunities. Relatedly, I worry that the funding for programs that serve low-income children remain precarious. Deborah Lowe Vandell, Ph.D., is the Founding Dean of the School of Education at the University of California, Irvine, where she is a Professor of Education and of Psychology and Social Behavior. The author of more than one hundred fifty articles and three books, Dr. Vandell studies the effects of afterschool and summer programs on children's academic, social, and behavioral development. 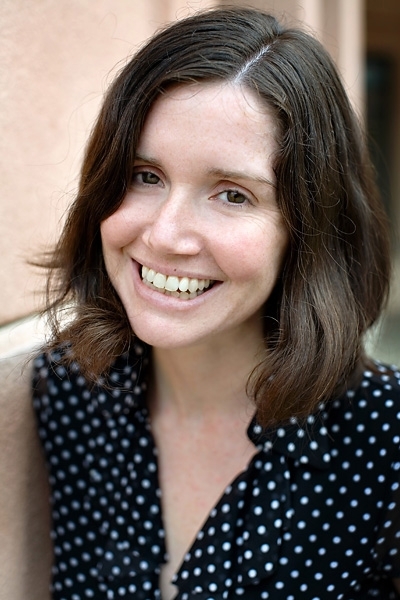 Heather Malin, Ph.D., is the director of research at the Center on Adolescence at Stanford University. 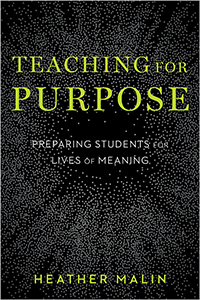 Her new book, Teaching for Purpose: Preparing Students for Lives of Meaning, caught our attention. We believe that afterschool programs serving older youth are well positioned to nurture youth and their sense of purpose. Below we share some of Dr. Malin’s responses to our interview questions. Q: What drove you to author this book on "purpose"? A: I’ve been doing research on how young people develop purpose in life for over a decade, conducting interviews and surveys with adolescents to understand what matters to them and why, what goals they set for their lives and how they act on those goals, and what social conditions support them as they create purpose in their lives. I knew that there were people out there creating programs based on our research, so this book was an opportunity to connect with those people and share their work with others who are looking for ways to support students to develop purpose. Q: Can you briefly describe what you mean by "purpose"? A: In our research lab, we specifically define purpose as “a generalized and stable intention to accomplish something that is meaningful to the self and of consequence to the world beyond the self” (as defined in Damon, Menon, & Bronk, 2003). This is a mouthful, but it basically means that we see purpose as a driving and enduring goal to contribute to something larger than the self. It’s understanding your own strengths and values and connecting them with something that the world needs. It doesn’t require changing the world. Purpose can be found in helping a family member just as easily as it can be found in working to end global poverty. Q: How does one teach "purpose"? A: That’s a big question. From what I’ve seen, I think we create our own purpose, and conditions around us can make that easier or more difficult. That doesn’t mean more affluent and well-resourced people have better access to purpose. In fact, we find that challenging life conditions and negative experiences can lead some people to develop purpose as a response. So, how do we provide the conditions that will enable more young people to create or develop their purpose? I think it requires starting with an environment of compassion and encouragement, with adults who act as mentors and role models of prosocial activity and who prioritize an authentic relationship with their students. In that environment, students can openly explore their values, strengths, and the things that are meaningful to them. Next, they need to translate those values and meaningful things into aspirations for their life and learn how to plan and take small steps toward accomplishing those big goals. Then, they need opportunities to act on their goals, to see that they’re capable of taking action and doing things that can have a positive impact in the world. That’s a nutshell version, but there is more detail in the book. Q: How is this applicable to those who "teach" young people in community and school based afterschool programs? A: This book was specifically aimed at educators who work in schools, with hopes of contributing to the ongoing movement to re-invent schools. However, the fundamental ideas can be applied by anyone working with young people, including those working in community settings. In fact, practitioners in out-of-school programs are at an advantage for supporting youth purpose. There is more opportunity to mentor young people in activities that are meaningful to them, provide them with real-world responsibilities that matter, and create a sense of community and belonging that might be harder to come by at school. We’ve found that structured youth programs are wonderful for supporting purpose development when they provide an integrated web of purpose support. That web is made up of a social network that offers encouragement, access to information and knowledge needed to develop an interest and reflect on how their values relate to real-world issues, and opportunities to take authentic action in response to an interest or concern. Q: Is the notion of "purpose" applicable to adults who work with young people or only the young people themselves? A: Absolutely. One of the most important social resources for young people to develop purpose seems to be adults who model purpose in their own lives. An educator’s purpose doesn’t have to be teaching, but if it’s something they can share with their students, that is a gift they can offer that will make it more likely their students will develop purpose. 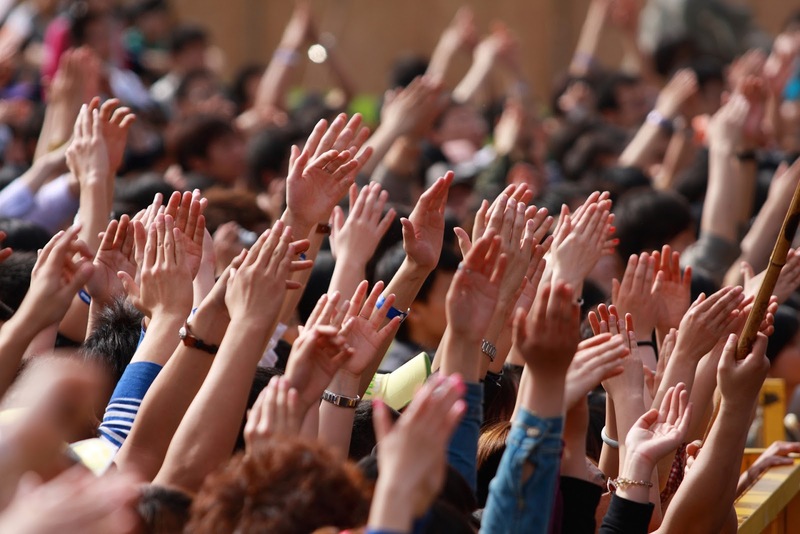 Youth organization leaders are likely to be very purpose-driven people, but even those with a strong sense of purpose can lose sight of it over time. I believe, and other youth purpose researchers agree, that helping youth practitioners reflect on and be more aware of their own purpose is key to supporting young people to develop purpose. Aside from that, practitioners who show up with a stronger sense of their own purpose for being there are probably going to create the compassionate environment that will enable young people to express and explore their purpose. This is why the book begins by asking readers to explore their own purpose – so they understand what I mean by purpose and so they can bring that sense of purpose to their work with young people. Q: In your work, did you notice any important distinctions regarding different audiences of youth? A: The most important finding in this area is that there is very little difference in the level or amount of purpose experienced by young people from different backgrounds or with different identities. We don’t have thorough data available on this, but findings are fairly consistent that purpose scores don’t vary much by ethnicity, socioeconomic status (SES), or gender. There are small differences that practitioners might pay attention to. For example, girls usually report a greater sense of purpose than boys, and girls are more likely to have beyond-the-self goals for their lives, but be less likely than boys to act on those goals to have what we consider engaged purpose. In analyses of ethnicity and SES, the effect sizes of these differences are so small that I’m hesitant to say it has implications for practice. I think that there can be qualitative differences in purpose that are worth paying attention to: we can have the same level of purpose but in very different areas of life, or experienced in very different ways. The content of our purpose is shaped by our context, family, upbringing, and other social factors that are related to our ethnicity and social class. The takeaway for practitioners, I think, is that exploring purpose with young people is an opportunity to get to know them better, and to connect better with them, their families, and communities. Q: The concept of "purpose" joins other new concepts that have entered the afterschool conversation including "SEL", "agency", "civic engagement", "growth mindsets", etc. How do you see "purpose" aligning with these? A: I see purpose as strongly interconnected with SEL, civic engagement, and “agency”. I advocate for purpose as a framework for SEL that integrates some of the goal pursuit strengths (self-regulation, agency) with moral strengths (empathy, compassion, social awareness). Teaching for purpose ideally means providing young people with opportunities for values reflection that strengthens compassion and social awareness along with opportunities to develop important goals and take action. These efforts can help youth exercise self-regulation and agency. Civic engagement is an important way for young people to act on beyond-the-self goals that really matter to them.